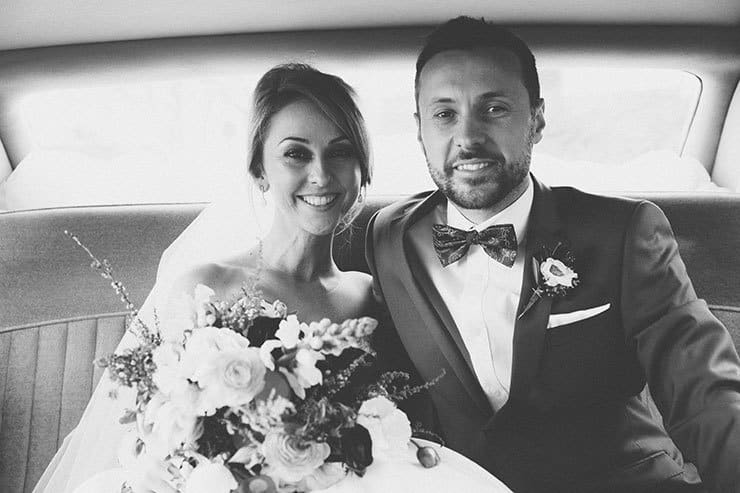 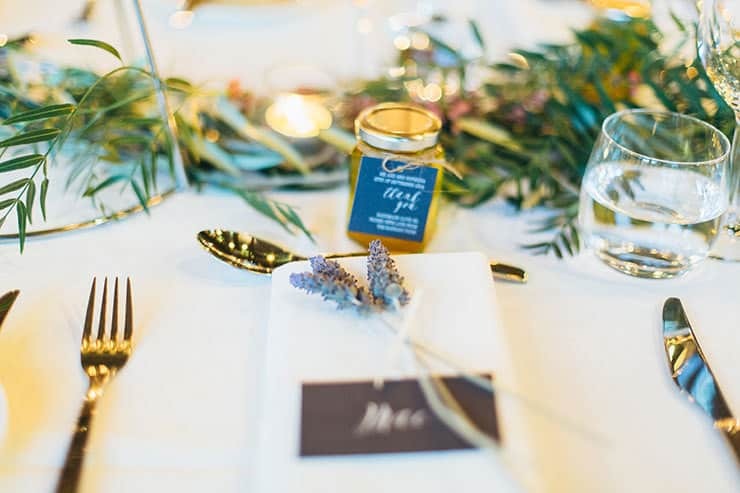 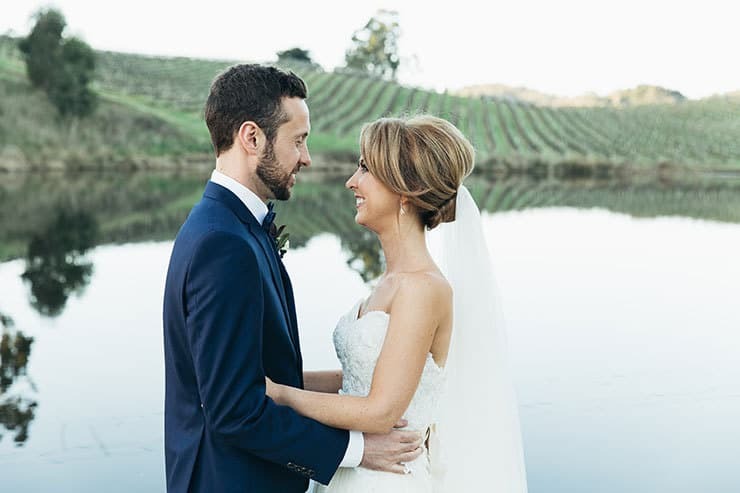 It’s easy to see why Mary-Jane and Jonny were determined to find their venue from a single picture they had fallen in love with – it has atmosphere in spades! 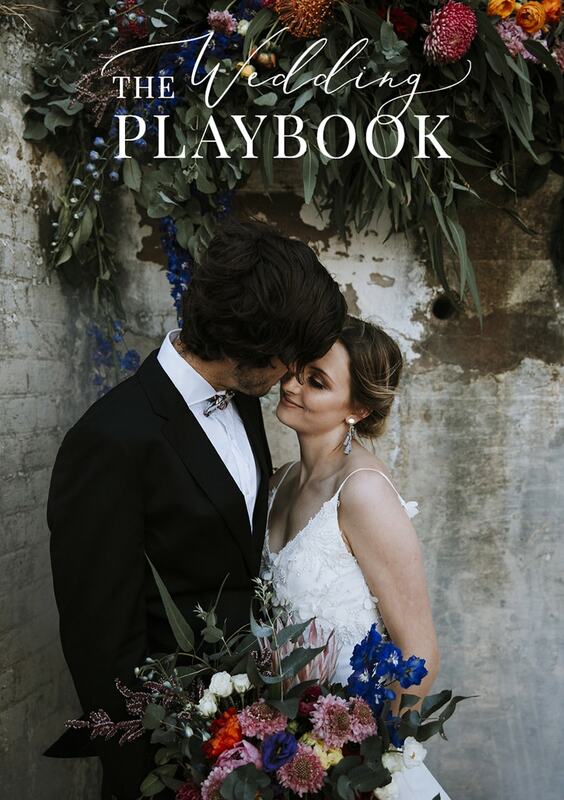 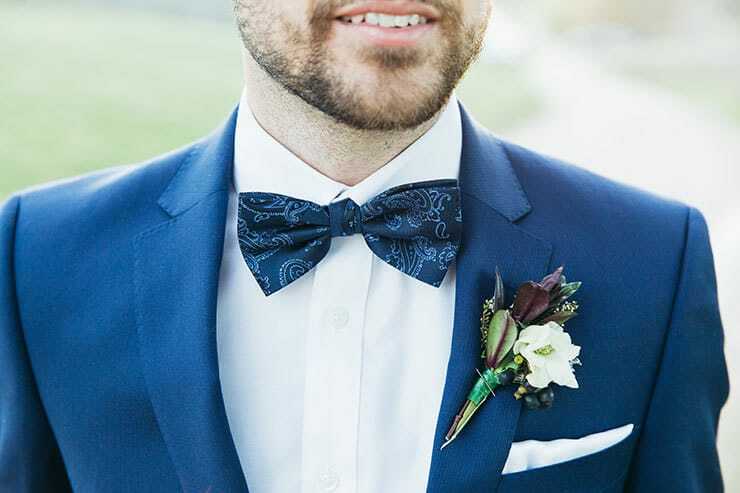 Their elegant day includes stunning reception styling with abundant florals, draped greenery and beautiful lighting, unique handmade gifts for guests and special details to make their wedding a party to remember. 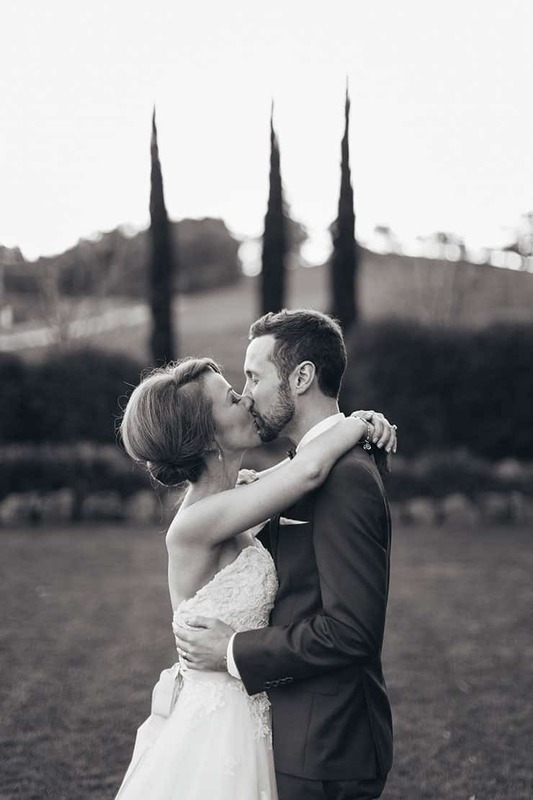 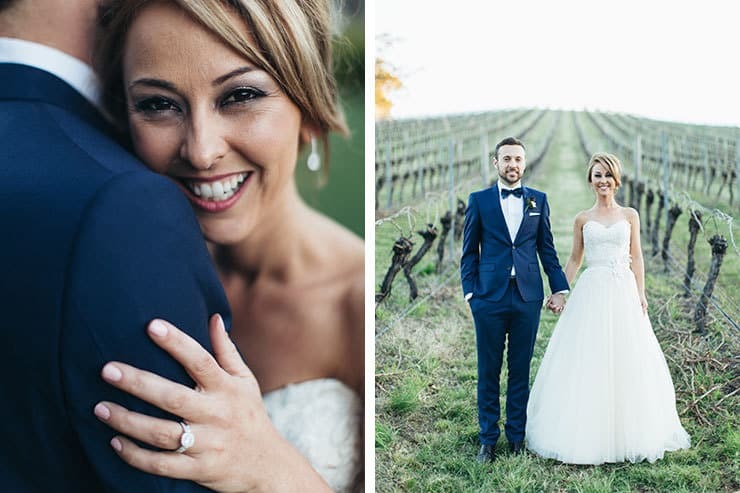 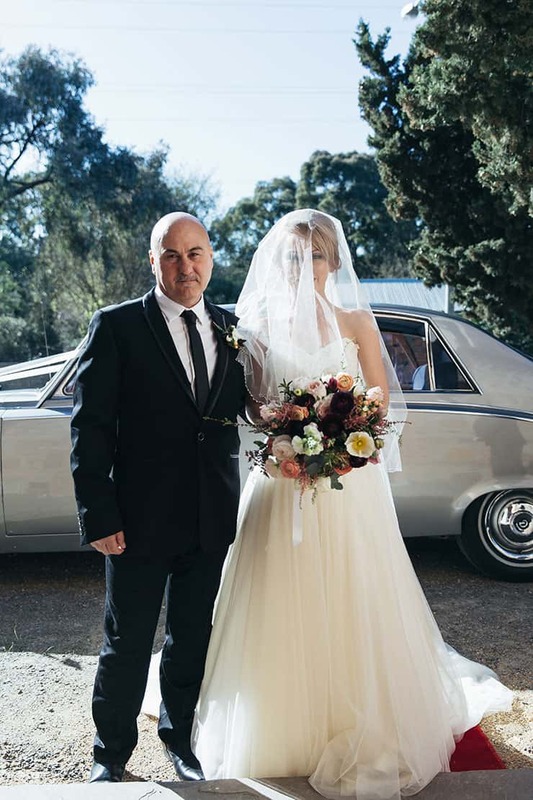 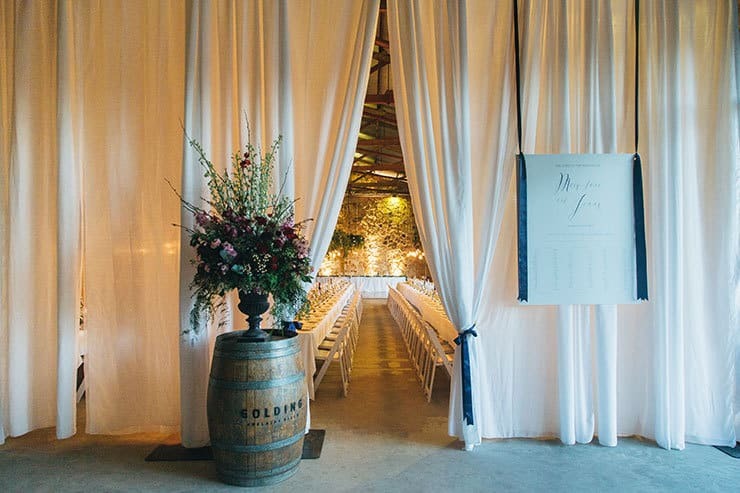 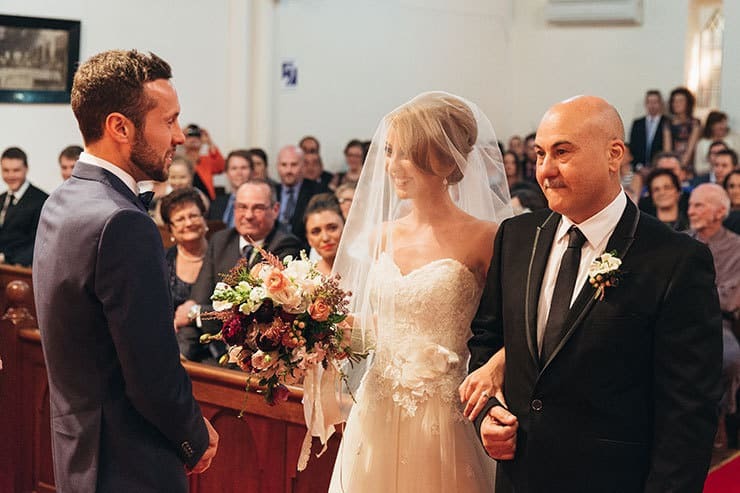 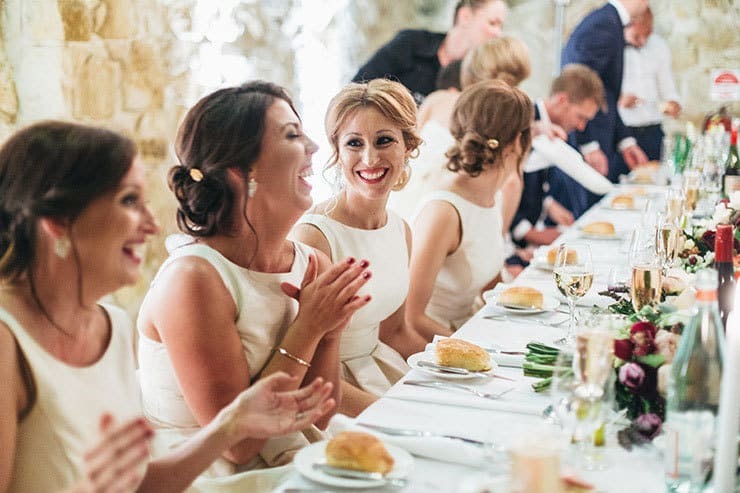 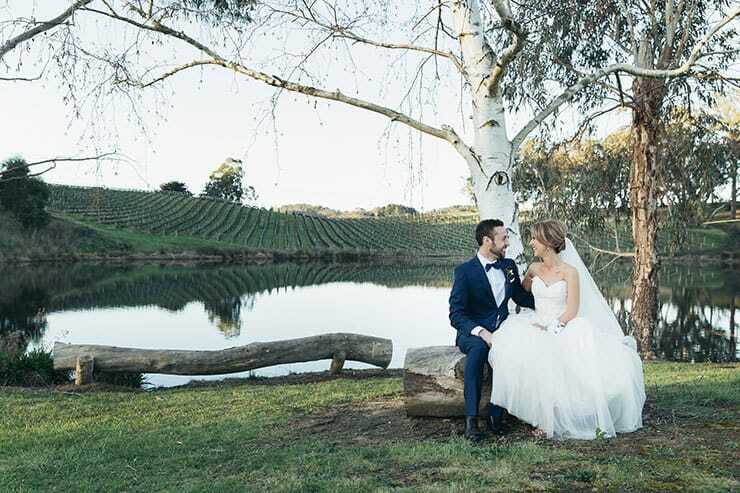 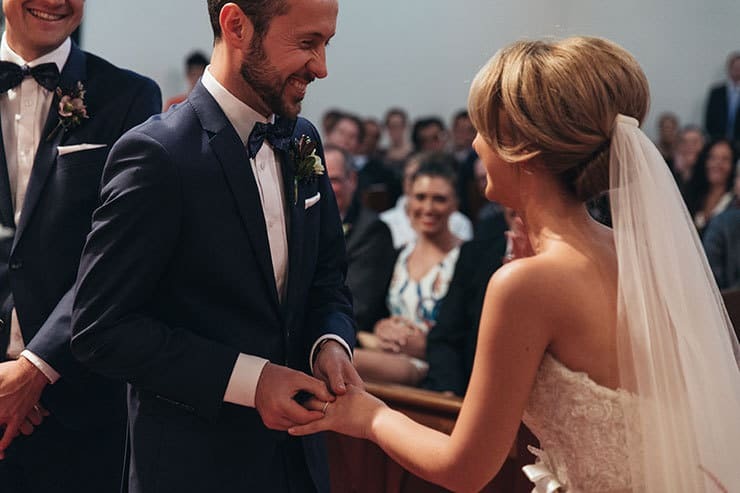 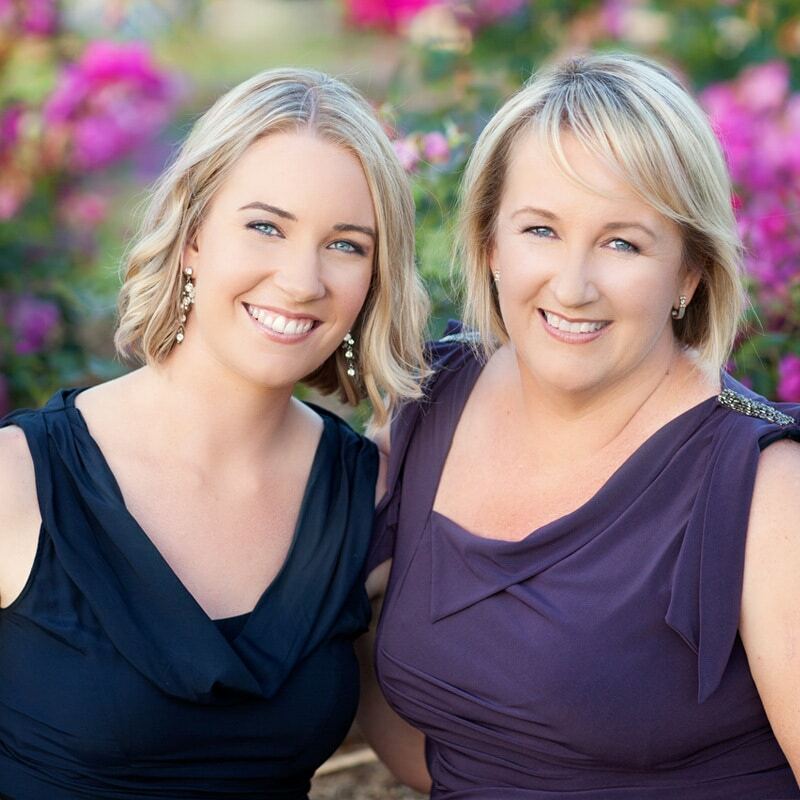 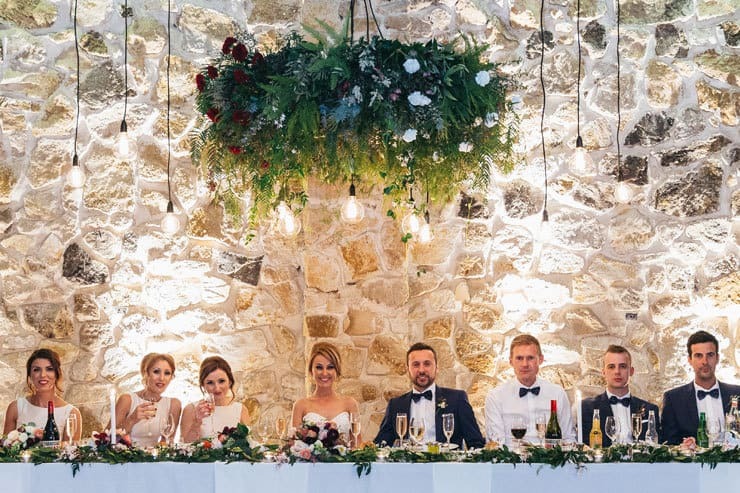 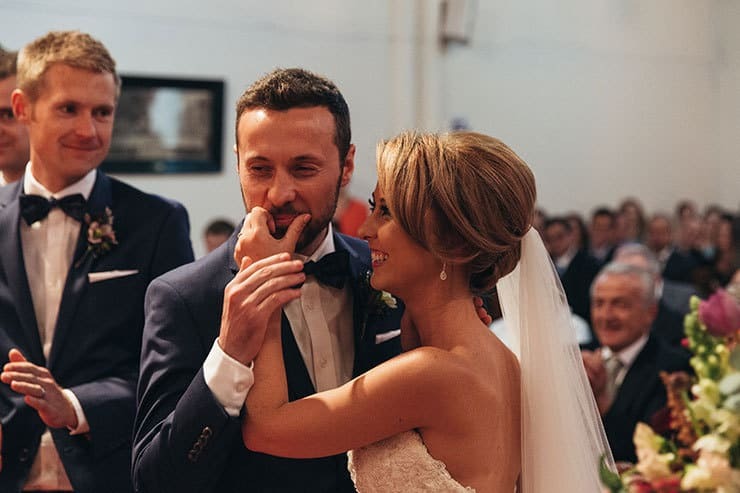 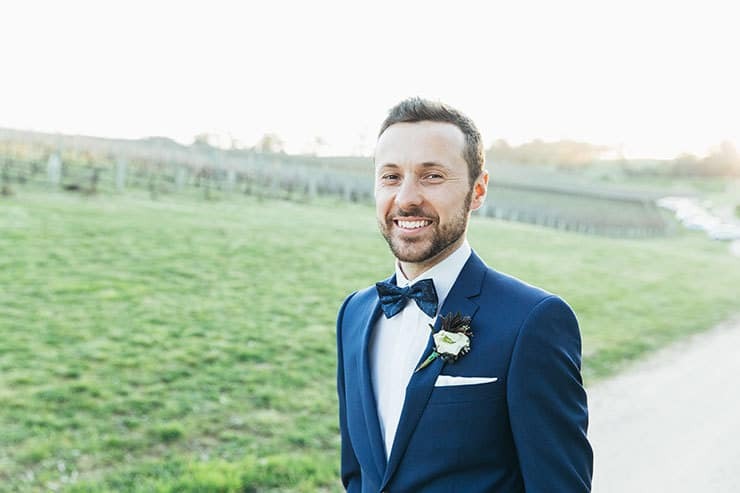 Finding their mystery venue required some searching, “It took a few weeks to piece it together and realise the stone wall in the picture belonged to Golding Winery. 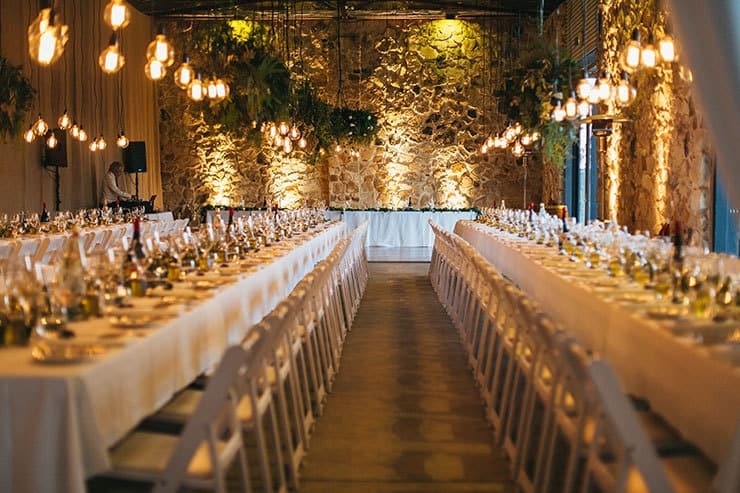 We visited the venue and our first impression was confirmed after seeing the exposed beams, beautiful stone wall, gardens and gorgeous lake. 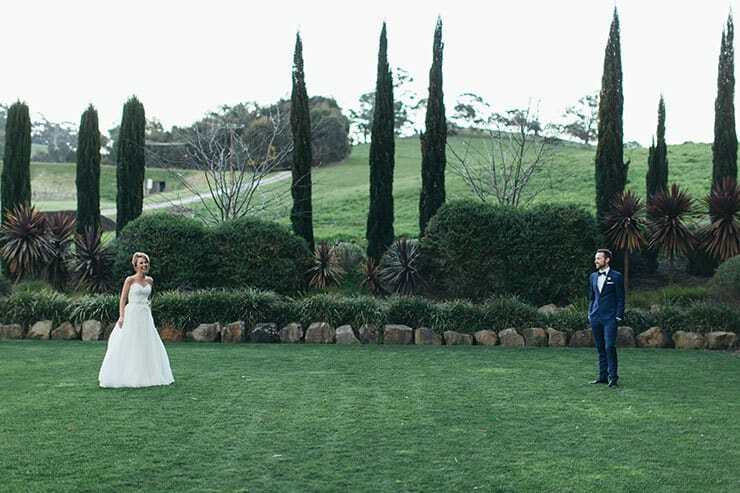 We secured the earliest date possible!